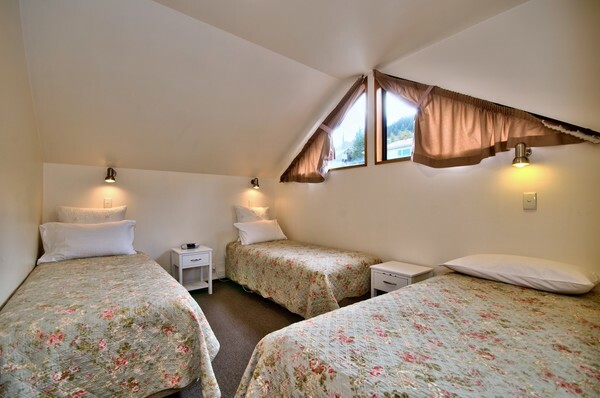 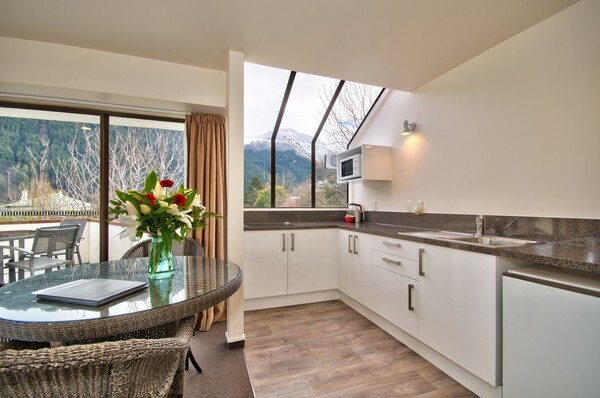 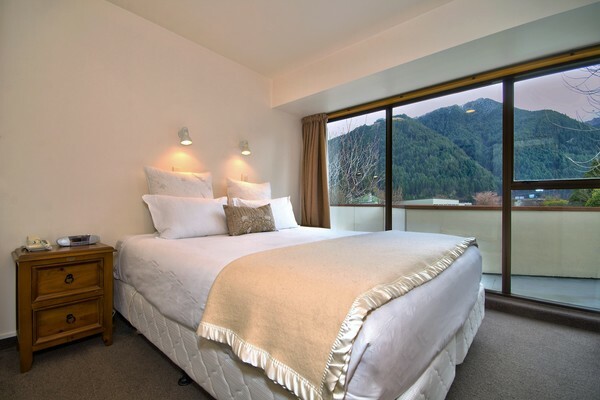 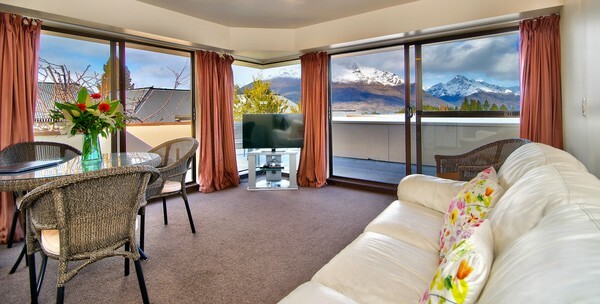 2 Bedroom Apartment, Balcony with stunning views of Lake Wakatipu. 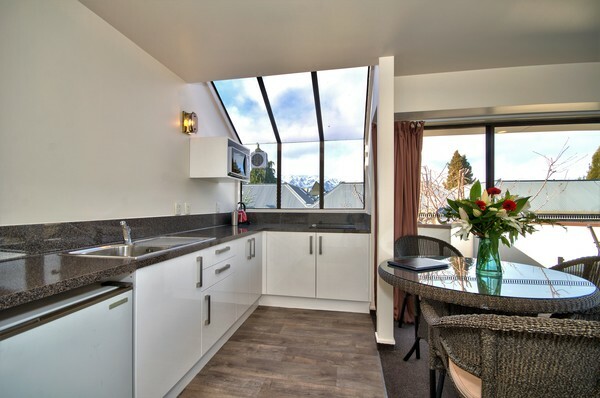 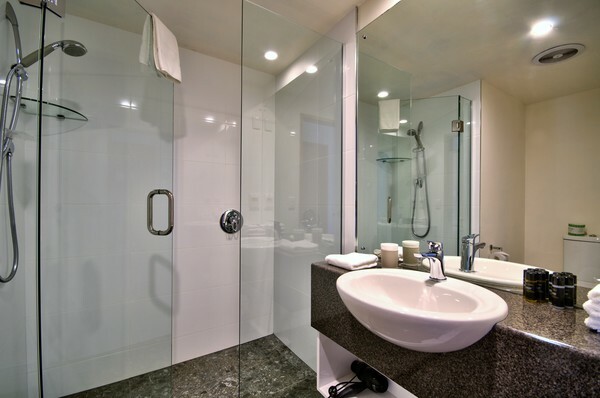 En-suite with bath, Shower, Bathrobes, Tea/ coffee making Facilities,Full kitchen Facilities, LCD TV.UNLIMITED FREE WI-FI, refrigerator,DVD player, Microwave, Outdoor Furniture,1 king bed & 3 Singles, Buffet Continental Breakfast included in tariff. 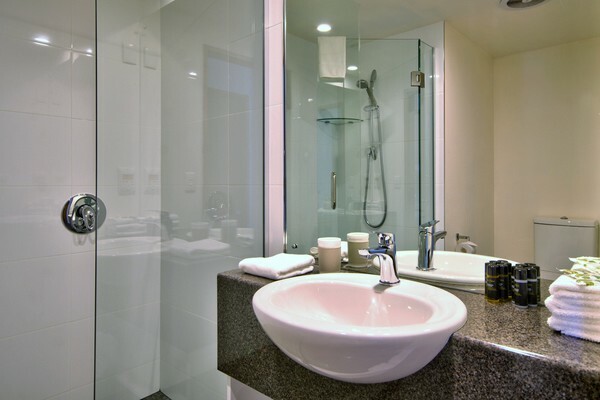 Recently Refurbished in Dec 2012. 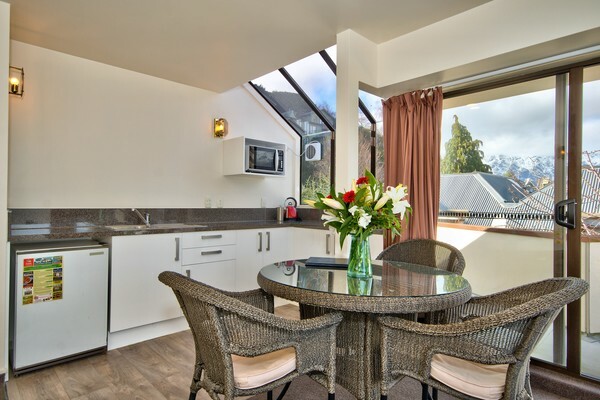 Just 3 minutes easy walk to Town centre.